"I recently decanted some diesel engine oil into a 208-liter drum and weighed it. It weighed 197 kilograms. I then sealed the drum. After a week, I re-weighed the drum and discovered that it weighed only 185 kilograms. Where did the lost weight go?" All oils are subject to evaporation loss, some more so than others. In certain circumstances, this can have disastrous effects on your equipment. One way to determine the evaporation loss of engine oils is with the Noack volatility test (ASTM D-5800). This issue can be caused by a number of factors. 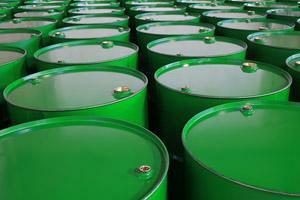 One of the first misnomers about oil drums is that they can be completely sealed. If a drum is stored in an area that has temperature swings, e.g., high temperatures during the day and cold temperatures as night, a breathing process occurs through the vent and bung plugs on the top of the drum. If the sun heats the drum, the oil may start to evaporate. As pressure builds inside the drum, the headspace is purged through the vent, taking with it some of the evaporated oil. While this may sound farfetched, it does happen. 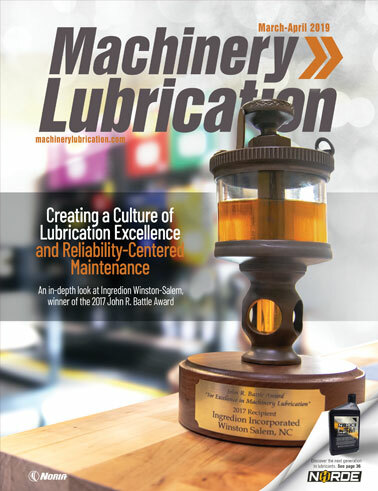 Many equipment operators and lubrication technicians have machines that require oil top-ups every day. These machines don’t have leaks but simply operate at a high enough temperature that the oil is evaporated over time. In addition to evaporation lowering the oil level, there are also changes in the physical properties of the lubricant left behind. Perhaps the biggest issue associated with evaporation loss is the change in the viscosity of the remaining lubricant. The lighter ends, or smaller molecules, are the first to evaporate. As they leave the fluid, there is a shift in the average molecular size of the remaining oil. This shift leans more to the heavier molecules, and thus the viscosity rises accordingly. 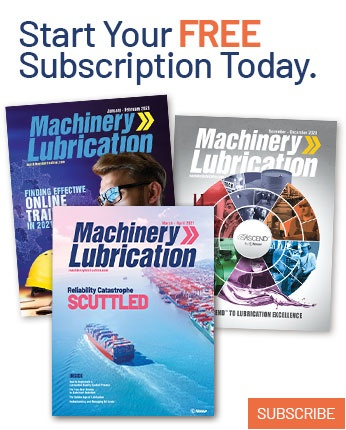 This rise in viscosity can impact how well the machine lubricates itself. This can lead to a decrease in the splashing tendency of the oil in gearboxes and bearings, and may restrict oil flow in circulating systems. None of these scenarios is desirable when it comes to machine reliability. So while oils can undergo an evaporation loss, usually those most susceptible to this phenomenon are less refined and contain a higher number of the lighter ends. More than likely the drop in weight you experienced was caused by this process.